Posted January 3, 2018 by Staff Writer & filed under Bondi View, City News. The festive season is meant to be a time of giving, but that’s not the case for the State Government, which has reneged on their promise to reimburse Waverley, Woollahra and Randwick District Councils of $1,068,996 for the merger preparation costs. On the 27th July, the NSW State Government announced all proposed local council mergers would not proceed in their controversial forced amalgamations program, which included Waverley with Woollahra and Randwick Councils. Waverley then wrote a letter to the Office of Local Government asking for a reimbursement of the merger preparation costs, but were turned down. This means that the State Government does not formally have to pay the Councils back. 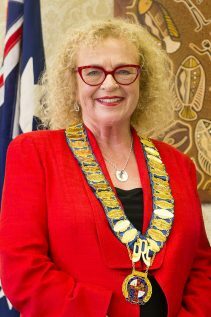 Mayor of Randwick Council, Lindsay Shurey, said, “I’m disappointed that the NSW Government has not followed through on their assurance that they would financially reimburse Councils for all the costs incurred while preparing for mergers. Waverley Council had to put a lot into preparing for the merger, such as hiring new staff, training them up and spending countless hours on the project. “We needed to employ up to 50 staff full time to work on the project and we incurred an enormous amount of direct costs of hiring and consulting as well as a huge amount of indirect costs,” Cr Wakefield said. The council is more concerned with the time that was spent on preparing for the merger, stating that they could have spent their time on more productive things. “Randwick Council worked hard to prepare for the proposed amalgamation with Woollahra and Waverley Council,” Cr Shurey said, “so that our residents and ratepayers would not be negatively affected by the disruption,”. Ratepayers are now out of pocket of over one million dollars and the money lost could have been spent on improving and providing for the community. “It’s not fair that ratepayers should now have to pay for the indecision and backflipping of the State Government,” Cr Shurey added.